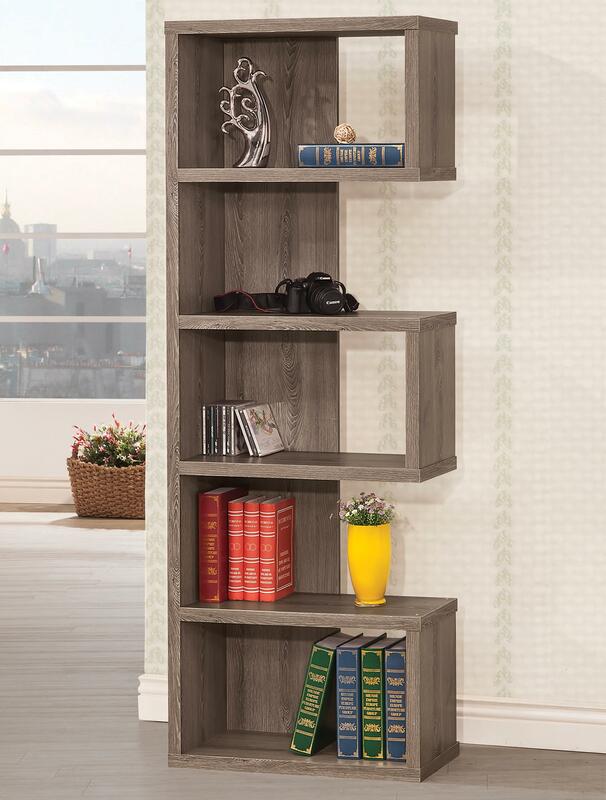 Modern casual in style, this unique bookcase has a weathered grey finish that complements its semi-backless asymmetrical design. The five shelves of the bookcase allow you to display your favorite photos and decorative items. The Bookcases Weathered Grey Semi-Backless Bookcase by Coaster from Nashco Furniture - Nashville. We proudly serve the Nashville, Franklin, Brentwood, Clarksville, Green Hills, Davidson County, Williamson County, Tennessee area. Product availability may vary. Contact us for the most current availability on this product.